Beaches, forests, ocean frontage, and interesting cities and towns, Washington doesn’t hold back when it comes to its opportunities for work and play. If you’ve been wanting to secure your spot in WA with a secure and reliable job, become a forklift operator with a Washington forklift certification. Forklift operation is one of the easiest and fastest ways to get in a new and rewarding job that will always be in demand. With a thriving tech industry in Seattle, a vibrant music and entertainment scene, and landmarks like the Space Needle and historical venues like Pike Place Market that need constant maintenance, Washington is full of opportunities for forklift operators. You could work in a warehouse handling and distributing the latest tech products, or at a concert venue handling stage equipment. However, you’ll need a Washington forklift certification to qualify. 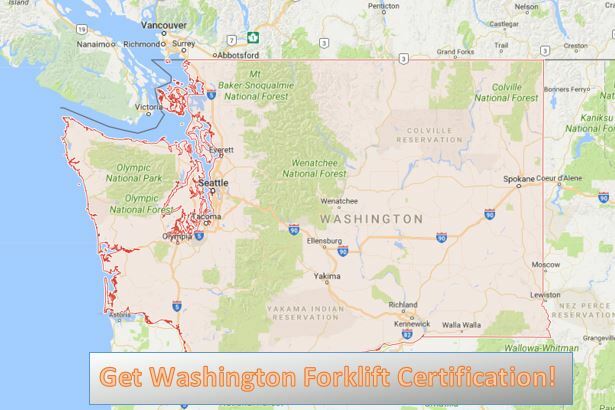 What Jobs Are Available for Those with Washington Forklift Certification? There are many different industries and companies that hire forklift drivers in Washington. 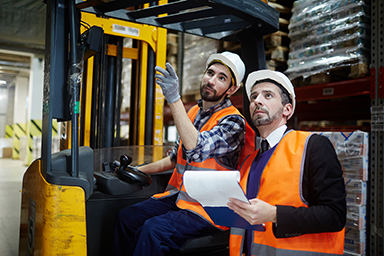 The most common forklift positions include forklift operator, forklift mechanic, dock worker, warehouse employee, retail worker, and special events and entertainment employee. Some of the top employers hiring forklift operator in Washington are the State of Washington, Crystal Springs Water, Genie Industries, Steeler, Inc., and Universal Forest Products to name a few. You can find work in warehouses, dock yards, museums, concert venues, and coffee houses and breweries. As the first step towards finding a forklift job, it’s important to invest in the best forklift certification WA. Look for one that is 100% OSHA-compliant to best protect your life on the job, appeal to potential employers, and protect your life from common life-threatening mistakes. Get Your Forklift Certification WA in Only One Hour with CertifyMe.net! In only about one hour from any device with an internet connection, you can receive your Washington forklift certification from CertifyMe.net. Our course is accessible 24/7 and is completely compliant with all OSHA standards. We make sure that you have everything you need to operate all types of forklifts and prevent accidents. All you have to do is create an account (or have your employer do so), work through the modules, and print your Washington forklift certification! It’s never been as easy, fast, or affordable, costing only $299, to get your forklift certification WA than with CertifyMe.net!